I'm immensely proud of this production that was practically put together in two weeks. 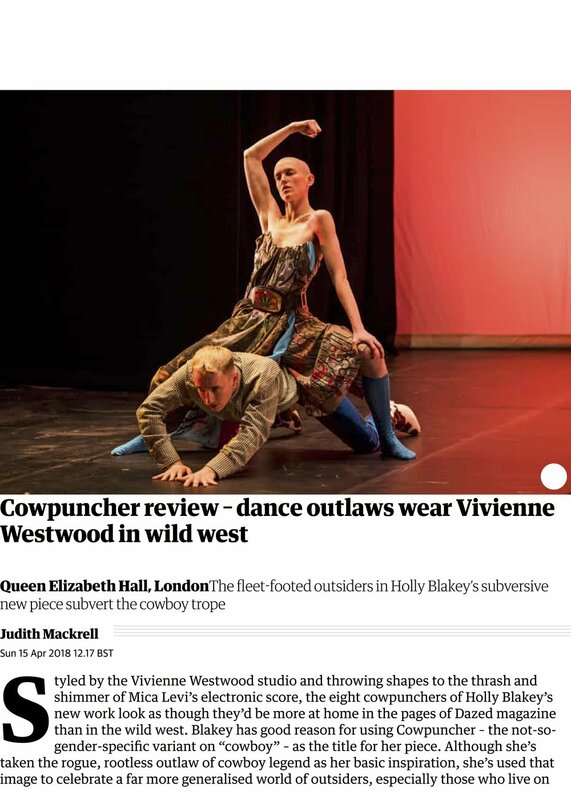 Working with the hugely talented Holly Blakey, the incredible dancers and Southbank's excellent team was fun and opening the refurbished Queen Elizabeth Hall such an honour. To have my lighting positively mentioned on the Guardian is more than I could hope for.